We always travel for a reason. Sometimes it’s the journey or the road trip that makes it attractive; or the tv shows and series that motive us to travel to a new destination. And for some it’s the pleasure of spending couple of nights in an unknown/new hotel room. Each hotel has it’s own charm, smell and of course character. In this blog post, we wanted to share some of the brand new boutique or luxury hotels in Istanbul. Housed in the former American Consulate of Istanbul, Soho House Istanbul opened its doors in March 2015. They prefer to call themselves “house with bedrooms” rather then a hotel. Soho House Istanbul is a small-medium size boutique hotel with 87 bedrooms. 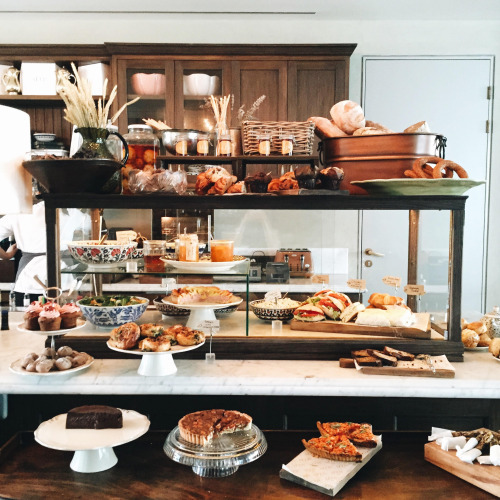 As you enter the place, you come up with the reception and The Allis Istanbul which is one of the great in-house eateries (among few others too) of the Soho House. They have delicious cakes, pasteries as well as fresh local goodies and nicely done house cocktails. No surprise that you see someone having his/her breakfast with the PJ’s. Image by Soho House Istanbul website. The hotel quickly became one of the most desirable places to stay in Istanbul. We believe they owe this success to: their unique location, amazing interior design/decoration which is very intimate and cosy and finally (the most important) very professional and friendly team members. To find more about Soho House Istanbul and book your stay click on this link. The St. Regis Istanbul hotel is situated in the heart of Nişantaşı – one of the high end neighbourhood of Istanbul known as the “5th Avenue of Istanbul”. St. Regis Istanbul is only few minutes walking distance to a rich variety of local and international eateries, bars and shopping. It has 118 rooms which are decorated in taste and elegance. has great views of the Bosphorus as well as tasty food and drinks. 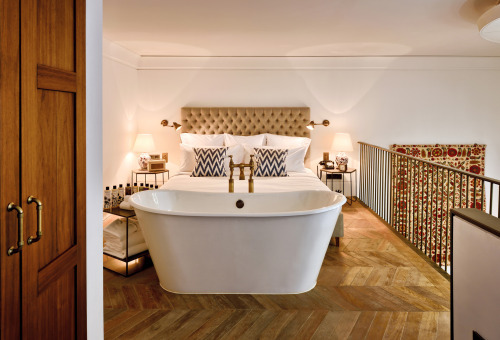 Istanbul’s well-known The House Hotel small hotel chain created another special brand called as “Vault Karaköy”. Housed in the former Sümerbank building from 19th century Vault Karaköy is a beautiful example of the mix of contemporary and traditional. The hotel is only few minute as walk to Galata Bridge and tram line which makes it very convenient in terms of transportation. Karaköy neighbourhood is one of the up and coming neighbourhoods of Istanbul with it’s third wave coffee shops, local eateries and hand-made/design shops and ateliers. 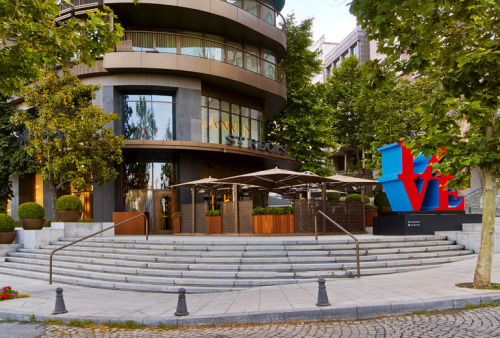 One of the most reputable luxury hotels opened its doors in Istanbul. Unlike the other three hotels in our list, Raffles is located in the modern centre of Istanbul, next to Zorlu Shopping Centre. Despite being away from the historical town centre, Raffles Hotel Istanbul wows its guests with their five star room and butler service. Impressive city and Bosphorus view is perfectly blended with customary beyond five star Raffles hospitality. As you take the elevator and go down to Zorlu Centre there are numberless lunch, dinner and shopping options. Famous local and international brands are available such as Beymen, Vakko, Louis Vuitton, BVLGARI, Dolce & Gabbana. For lunch and dinner, you might fancy Cantinery, Morini or Tom’s Kitchen.